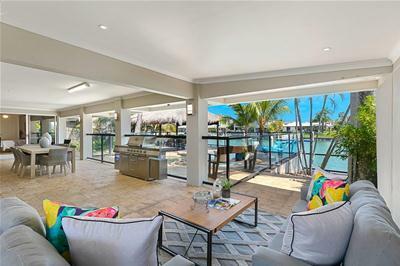 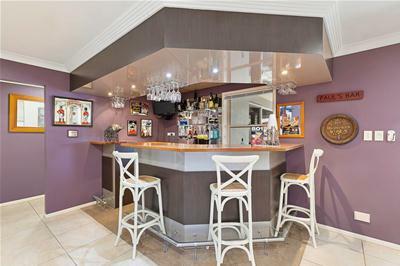 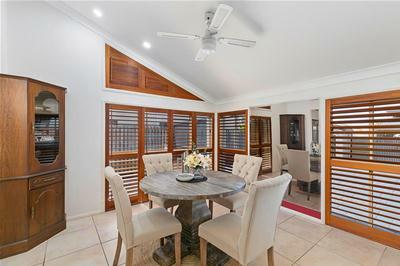 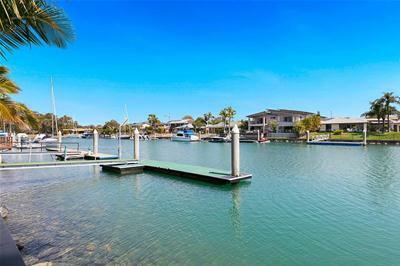 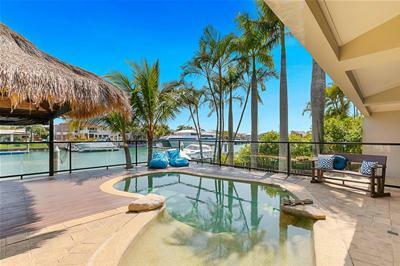 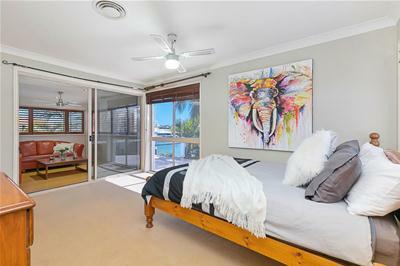 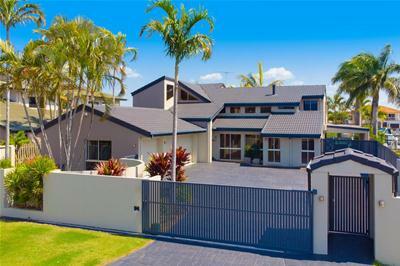 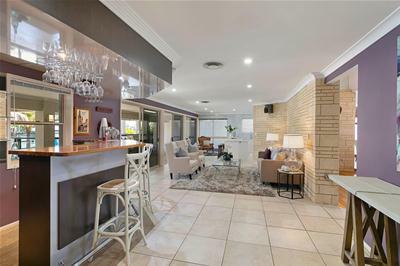 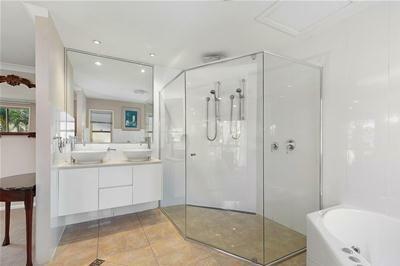 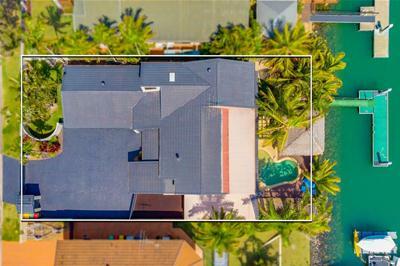 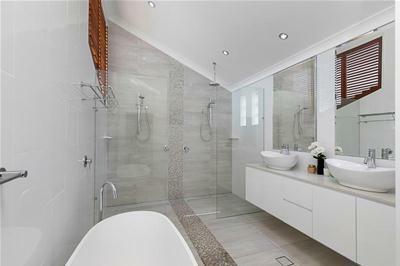 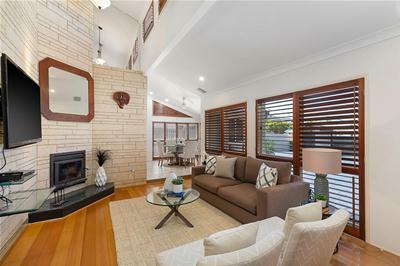 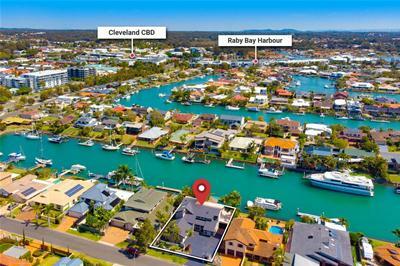 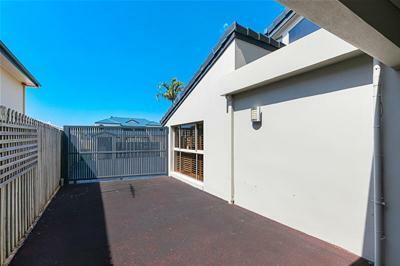 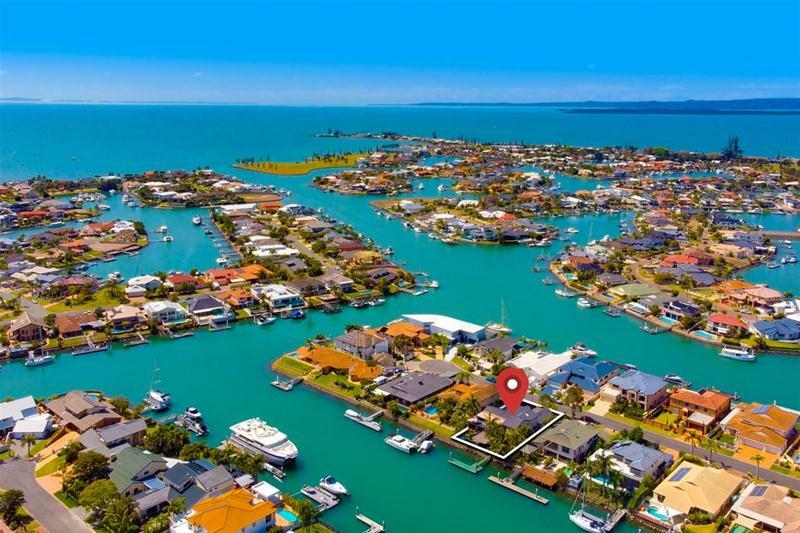 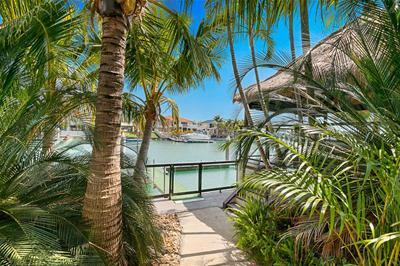 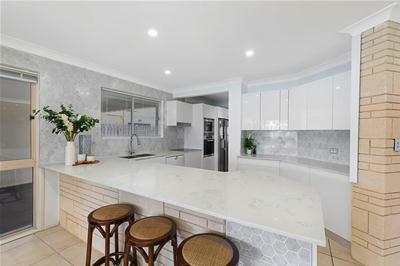 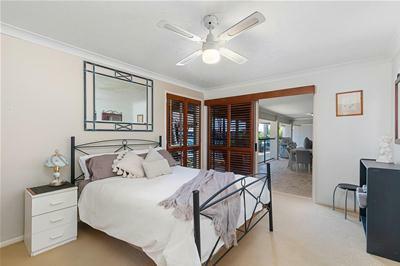 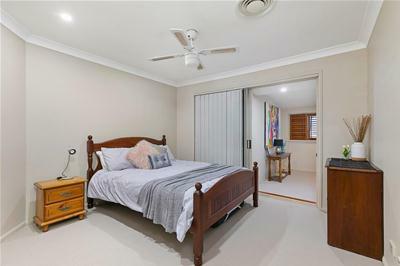 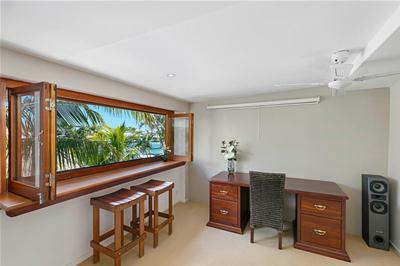 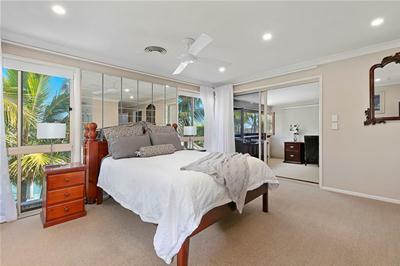 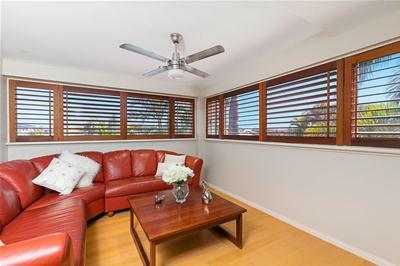 STUNNING, MODERN KITCHEN, SENSATIONAL BATHROOMS, FAMILY SIZED POOL, BALI HUT GAZEBO, 3 CAR GARAGE, SIDE ACCESS & AN AUTOMATIC GATED ENTRY ALL ON A 799m2 BLOCK WITH A WIDE 20m QUAYLINE & PRIVATE 10m PONTOON ENSURES THIS IS A LOT OF HOME FOR YOUR MONEY IN RABY BAY. 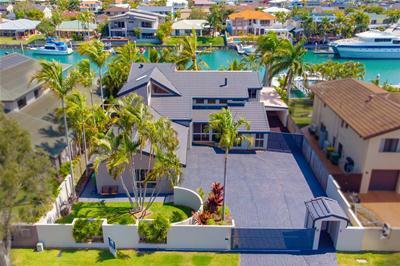 THIS WATERFRONT HOME IS PERFECT FOR THE BUYER WHO HAS PLENTY OF TOYS INCLUDING A CARAVAN WITH AUTOMATIC GATED ENTRY, A 3 CAR GARAGE & THE ABILITY TO HAVE SIDE ACCESS ADJACENT TO THE HOUSE. 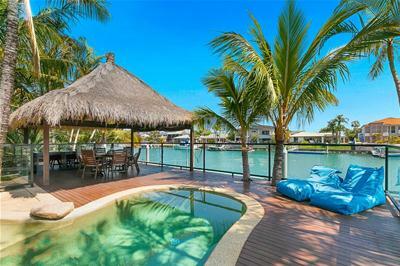 YOU SIMPLY WILL NOT FIND ANYTHING OUT THERE THAT OFFERS MORE QUALITY FEATURES FOR YOUR MONEY!